I recently saw a 39 year old lady for an eye examination. She had no medical or eye conditions, but reported a “black spot” on her right eye, that had started 6 months prior to the exam. She also described a “floater” in her left eye, which had been persistent for about 1 year. Uncorrected vision was 20/30 in her right eye and 20/25 in her left eye. Corrected vision was 20/20 in both eyes. Dilated eye examination revealed a retinal detachment with retinal holes in her right eye and retinal holes in her left eye. Prompt referral to the retinal surgeon for laser treatment in both eyes, prevented further damage and vision loss. A retinal detachment is considered an emergency where your retina pulls away from the layer of the eye that nourishes it. The longer a retinal detachment goes untreated, the greater the risk of permanent vision loss. 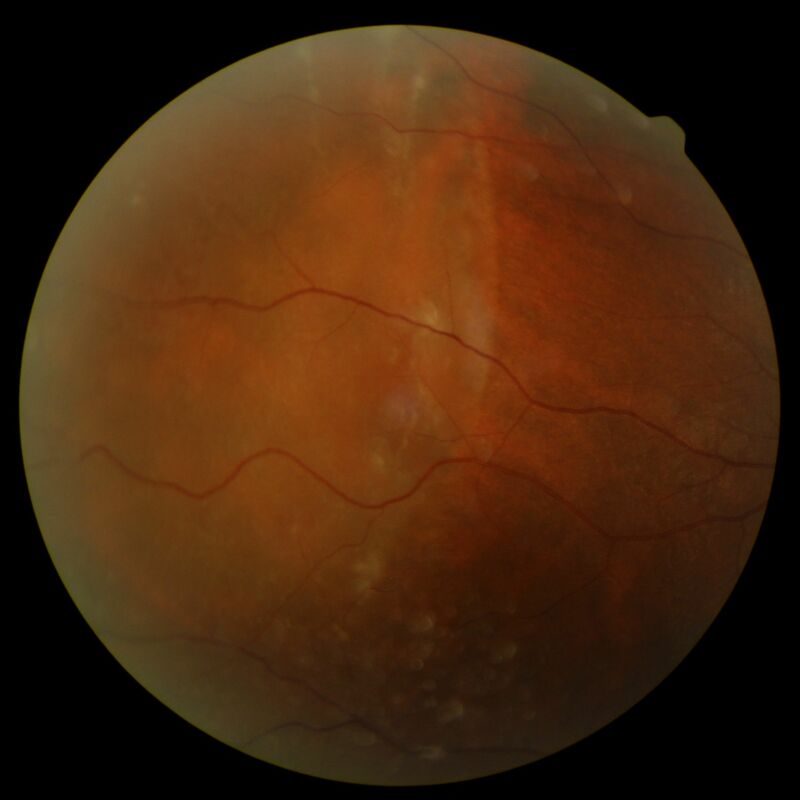 Note the whitish sheen over the left half of the retinal photo. This is the part of the retina that has detached.